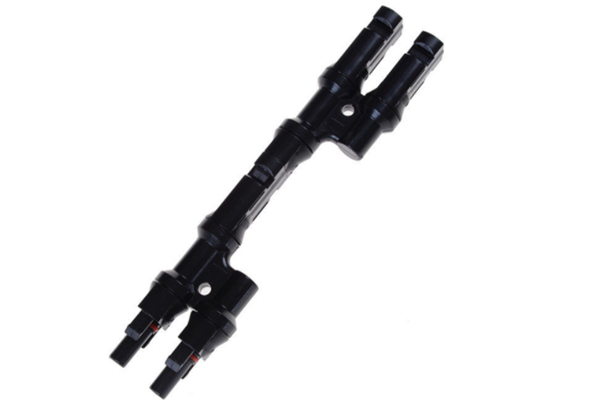 MC4 Branch Connectors are used to connect two MC4 Connectors in parallel. 1. Why HonUnity MC4 Branch Connector? 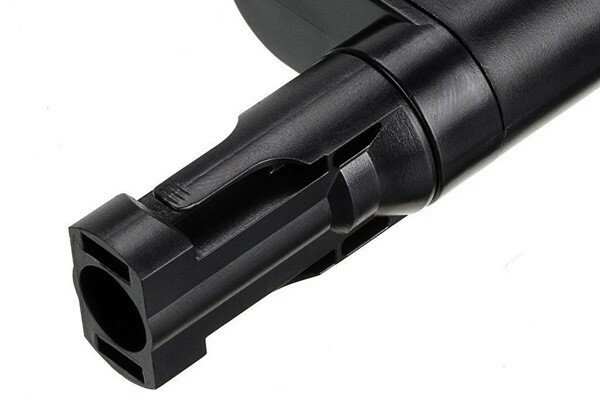 Each Branch Connector has 3 branches - two on the one side & one on the other. The branches could be "male" or "female". 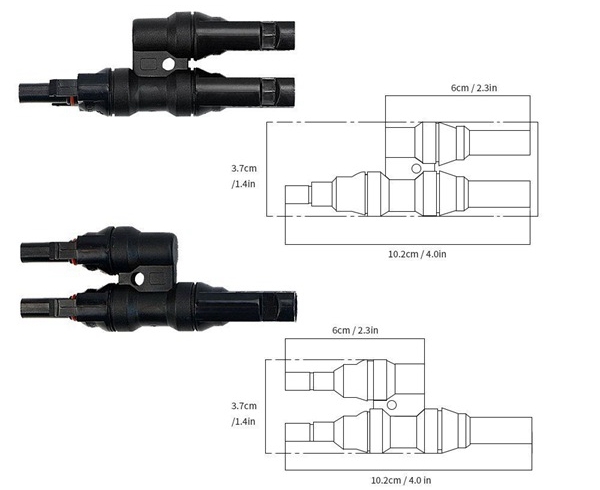 The construction of the branches is similar to the construction of the MC4 connectors shown in Fig. 1. 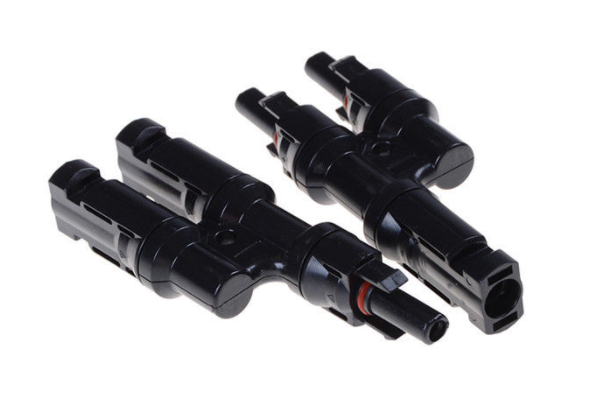 In a branch connector, all the 3 branches are internally connected in parallel. A Male Branch Connector (marked "+") is shown in Fig 2A. 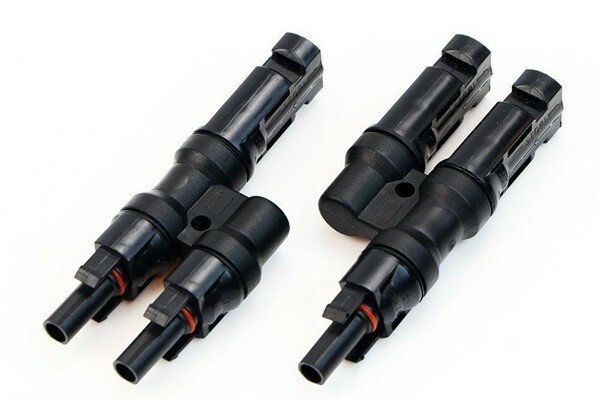 This consists of two MC4 Male Connectors that are connected in parallel with a MC4 Female Connector (marked "+"). This is used to connect two MC4 Female Connectors in parallel. A Female Branch Connector (marked "-") is shown in Fig 2B. 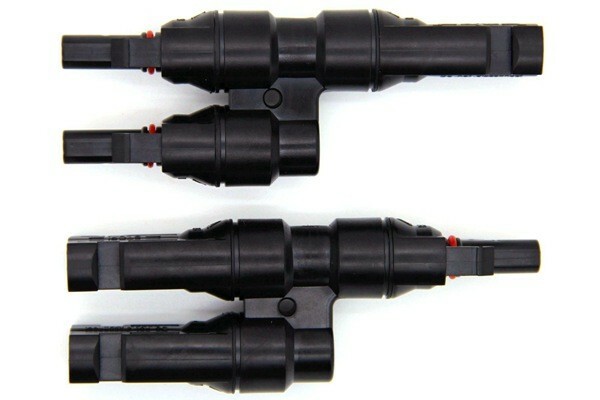 This consists of two MC4 Female Connectors that are connected in parallel with a MC4 Male Connector (marked "-"). This is used to connect two MC4 Male Connectors in parallel. Most solar panels come with approximately 3 ft of Positive (‘+’) and Negative (‘-‘) wire. One end of each wire is connected to the junction box of the panel. 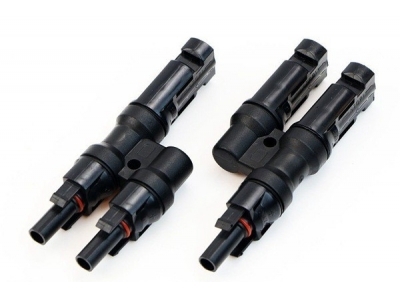 In most solar panels (for example, solar panels manufactured by Samlex Solar), the other end of each wire is terminated with an MC4 connector. 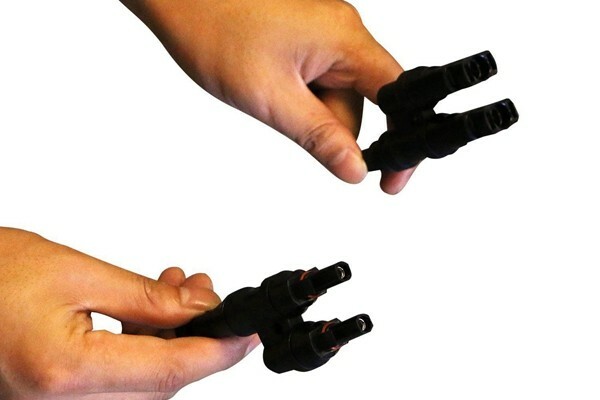 The Positive (‘+’) wire has a Female MC4 Connector and the Negative (‘-‘) wire has a Male MC4 Connector. To extend the length of the wires of these solar panels for connection to a charge controller, combiner box or grid-connected inverter, an extension wire is required with corresponding Male and Female MC4 Connectors. Two or more solar panels are connected in parallel to increase the current output at the same voltage. Fig. 4 above shows the arrangement for connecting two solar panels in parallel using the MC4 Connecting Wire Kit (sold separately) and the Branch Connectors. This arrangement is possible if the two solar panels will be mounted adjacent to each other. The output wires of the two solar panels are connected in parallel using the Male and Female Branch Connectors. The outputs of the Branch Connectors are then connected to the Mc4 Connector Kit wires which connect to the external PV circuit. 1). 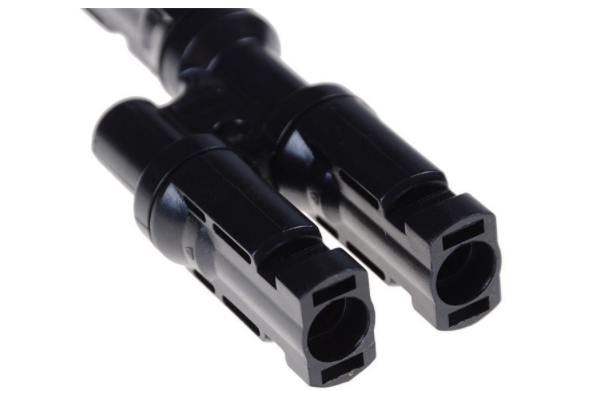 Cut the two Mc4 Connector Kit wires to the desired lengths depending upon the distance between the solar panels. 2). Strip 0.25” of the insulation at the ends. 3). Establish the correct polarity by tracing the wires back to the solar panel, if necessary. 4). Crimp the male and female contact inserts (2 and 5 of Fig. 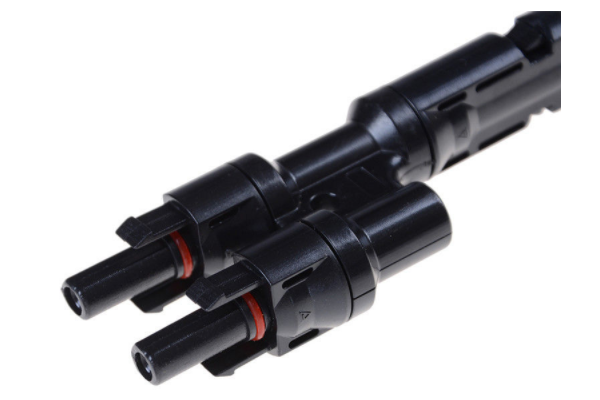 1) to the bare ends of the wire with the help of special purpose crimping tool meant for the MC4 connectors. 5). Install the contact inserts inside the housing of the MC4 connectors and tighten the strain relief / seal (7 of Fig. 1) fully to ensure a watertight seal.